This lovely dental patient first came to see Rebecca for a complimentary dental consultation to discuss the appearance of her upper teeth. 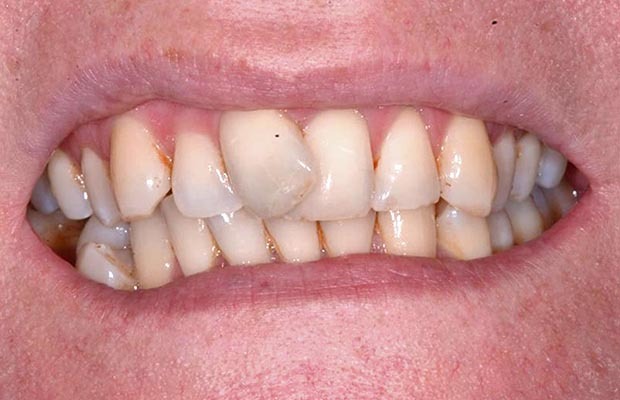 The patient felt very aware of her front upper teeth but due to being very afraid of the dentist following a bad experience in the past, she had put off exploring correcting her smile. She decided to overcome her fear to finally get the smile she so wanted and equally deserved! After her consultation, she went to see Steve Lomas for an orthodontic assessment, where she explained that due to her role as a receptionist she didn’t want metal brackets. She opted for a fixed upper brace using clear (tooth coloured) brackets that wouldn’t be as noticeable in her job role. 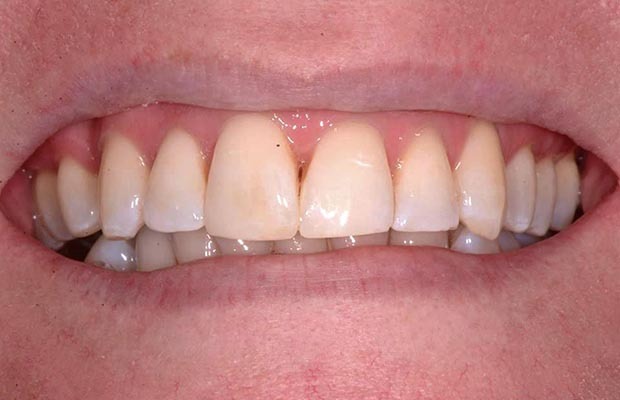 12 months later, with a nice straight smile, she completed a short course of Boutique Whitening and once she was happy with the shade of her teeth, she had her upper right central incisor built up using composite. A great result!